Land Navigation is largely a lost art. These days an increasing number of people who barely know how to use a GPS--much less navigate map-and-compass style--are using that space-age little gadget to guide them ever farther off the beaten track. 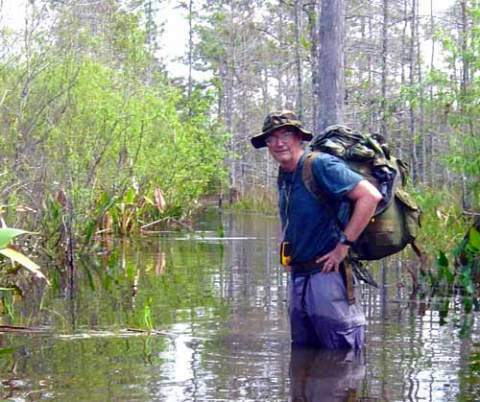 Big Cypress Swamp requires proficient land-navigation skills. GPSes are useful here, but never depend on them solely. Backup navigation skills are a MUST. While GPSs are great, they shouldn’t replace a solid route-finding knowledge based on the basics of map, compass, and celestial bodies. Anyone who ventures into the wilds is well served by a working knowledge of the art of navigation. The specific purpose of this web site is to provide you with the information you need to become a competent navigator—on land, at least. If you ever put to sea, many things you learn about navigating on land will put you ahead of the game when learning to navigate on the water. If you’re already a marine navigator, you’re ahead of game when it comes to learning to navigate cross country. Rather learn land nav by watching, than by reading? Check out my four-hour video course, which takes you step by step through Basic Land Navigation. Outdoors enthusiasts – Anyone who enjoys spending time in the wilds is well advised to have a working knowledge of cross-country navigation. To be on the safe side, your navigation skills should consist of more than just following trail blazes, instinct, or some river in your canoe. Hikers lose trails all the time, hunters get turned around, and sometimes you have to make an emergency exit off a river. The Military – Your life can depend on getting from point A to point B quickly and along the most tactical route. In fact, depending on your military occupational specialty, land navigation can be one of the most important skills of your profession. Orienteers – The sport of orienteering makes a game out of finding your way. As a participant in this game, you need to understand how to move around the terrain while finding your control points, and do it all fast enough to win in your competitive event. 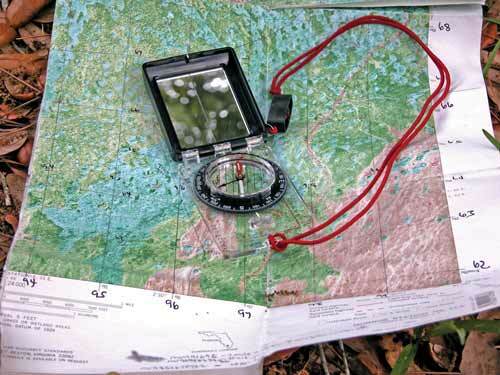 Search and Rescue personnel – You need navigation skills for sure. It’s bad enough to have a lost subject. You don’t need lost rescuers to boot. Wilderness medical personnel – You’ve stabilized and patched up your patient. Now, which way do you go do get that patient out of the wilderness? A good land navigator will know the answer. If any of the above applies to you, or even if it doesn't, and you just want to learn navigation, welcome to my web site. Throughout this site’s pages you’ll find discussions and explanations of many topics in land navigation. My goal is to provide you with straight-forward, solid information that’s easy to understand. So come look around, and let’s go over what you’ll need to know not only to stay found but also to get to where you want to go. Instead of reading about land navigation, maybe you'd rather watch and learn. If so, my online video-based land navigation course may be just what you're looking for. It has over four hours of video-based instruction, and comes with two downloadable text books, containing everything you need to know about map-and-compass land navigation. It's hosted on Udemy (U-Academy), a popular online education site. If you're not sure, there are even a few lectures you can preview. Check it out here. Want a free ebook on Land Navigation? My 159-page, fully illustrated book is yours for the asking. 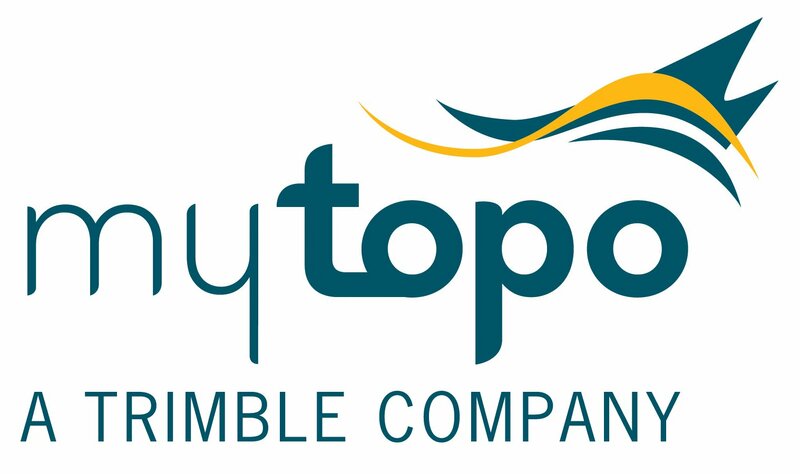 Get your own customized topographical maps, built according to your specifications.